Needless to say, I was eager to trial this allergy-friendly line out. 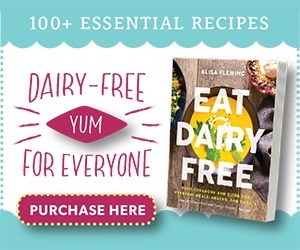 It’s free of dairy, nuts and soy, but they do use eggs. The company was kind enough to ship me all of their loaves, hamburger buns and bagels to taste test, which threw a bit of a wrench in the thoroughness of my review. With so many loaves and bags arriving just after I had baked myself, I was forced to freeze them all and forgo experiencing that soft, fresh texture. Fortunately, Canyon Bakehouse gluten-free bread freezes very, very well. I’m not a fan of heavily toasted, crunch bread, so I lightly toasted the slices and found the texture quite appealing and very, dare I say, bread like. It was tender rather than chewy, while being soft and crisp in all the right spots. When it cooled fully, there was just a hint of that gummy gluten-free consistency, but not enough to be very noticeable when used for sandwiches or slathered with a spread. I’m a whole grain fan, but this loaf was impressive right out of the shoot. It made great sandwiches, and had a pleasant, mild flavor that was just rich enough and slightly rustic. Tony agreed that it was a hands down winner. From the name, I had expected this to be my hands down favorite, but the flavor was rather flat. It also had slight bitter after-notes. It wasn’t bad, but didn’t have the natural, nutty sweetness I usually enjoy with whole grains. To preface, I do not like rye bread. And as it turns out, I don’t really like caraway seeds, which are the prominent spice used hear to give it that authentic taste. If you like rye, then this could be your gluten-free, dairy-free holy grail for making reubens. Due to the higher moisture content in this sweeter, more indulgent loaf, it did have a little more of that slightly chewy gluten-free bread texture. It was fairly good overall, but I felt like it needed a touch more salt to bring out the cinnamon and savory notes rather than letting the raisins carry so much of the flavor burden. These things are crazy monsters! They’re jumbo sized, with an appearance, texture and taste that is more akin to crusty French bread than traditional bagels. 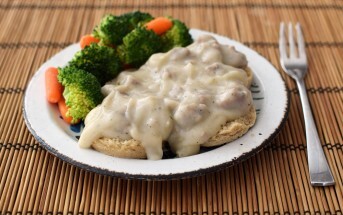 They’re hearty on the outside with a perfectly chewy middle and pleasant bread-y flavor. Different, yet very easy to like. My only qualm was how they were sliced too close to the tops. The bottoms were so thick that they wouldn’t fit in my toaster! I would prefer that this Canyon Bakehouse gluten-free bread product was sold un-sliced, instead. These are big, like the Plain, but have a lightly sweet vibe. They offer whole grain flavor with no bitterness and generous amounts of plump raisins. We enjoyed the nice bagel “chew,” which was a bit more chewy than wheat-based bagels. That said, they are definitely best when toasted. . This flavor was the sweetest of the bunch, but not sugary, with generous bites of tender, sweet blueberries. It had that same nice bagel chew and was delicious with dairy-free cream cheese alternative. In fact, it was a bit of a treat! On the contrary to the bagels, these buns are a bit small. They’re certainly more than tall enough, but our burgers spilled over on all sides of these girdled buns. They were okay, not quite as tasty as the Mountain White and Bagels, but it would be great if they were allowed to fatten up a bit, spreading, rather than rising so high. Tony said he still preferred my homemade dairy-free, gluten-free buns, but if the sizing was fixed on these buns, they would be a whole lot easier than homemade when we get a random burger craving. 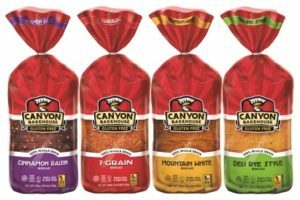 Have You Tried Any Canyon Bakehouse Products? If So, What Did You Think? If Not, Which Varieties Excite You Most to Try? Certifications: Canyon Bakehouse Gluten-Free Bread is Certified Gluten Free and Certified Kosher Parve. Dietary Notes: By ingredients, Canyon Bakehouse Gluten-Free Bread is dairy-free / non-dairy, gluten-free, nut-free, peanut-free, soy-free, and vegetarian. Nonetheless, check with the company on their manufacturing processes for all varieties if potential allergen cross-contamination is an issue for you. Processes and labeling are subject to change at any time for any company / product. 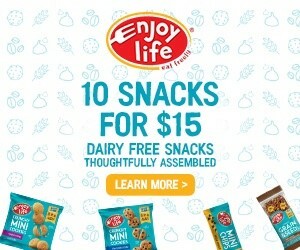 For More Product Information: Visit the Canyon Bakehouse website at canyonglutenfree.com. We were dazzled by the perfect bread-like taste and texture of the Mountain White, and pleasantly intrigued with the Plain Bagels, that were more like a good crusty French bread than the typical breakfast tradition. The others were good, with pluses and minuses as noted in our full review here. I would try the bagels first. I’ve generally gotten used to eating lettuce wraps because I’ve just not been a fan of most breads. I haven’t found canyon house sold by my house but if it’s good I’d buy some when I get to a store that sells it. It might be sold in the freezer section – I’ve seen the GF breads both sold fresh and frozen. Those bagels would make an awesome sandwich! Would love to try the cin/raisin bread. I’ve had the bagels, they are not traditional bagels, but pretty tasty. 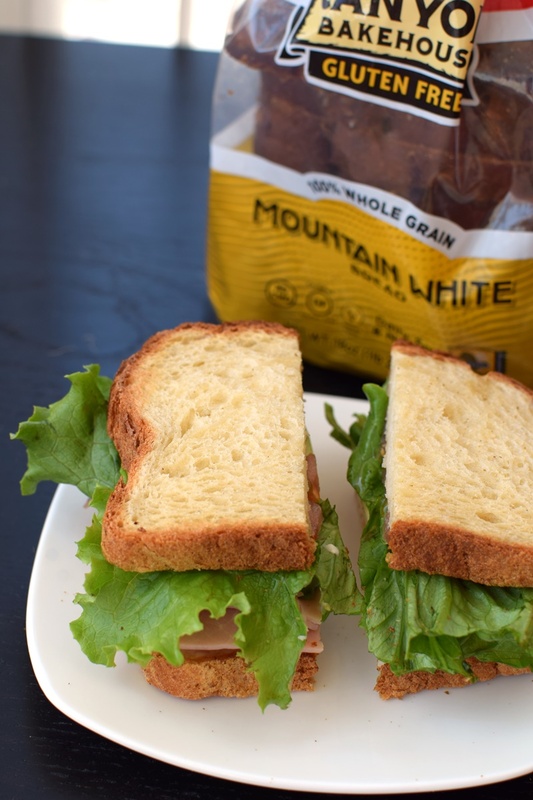 I love the 7 grain bread, it’s my favorite and I always have it stocked in my freezer. 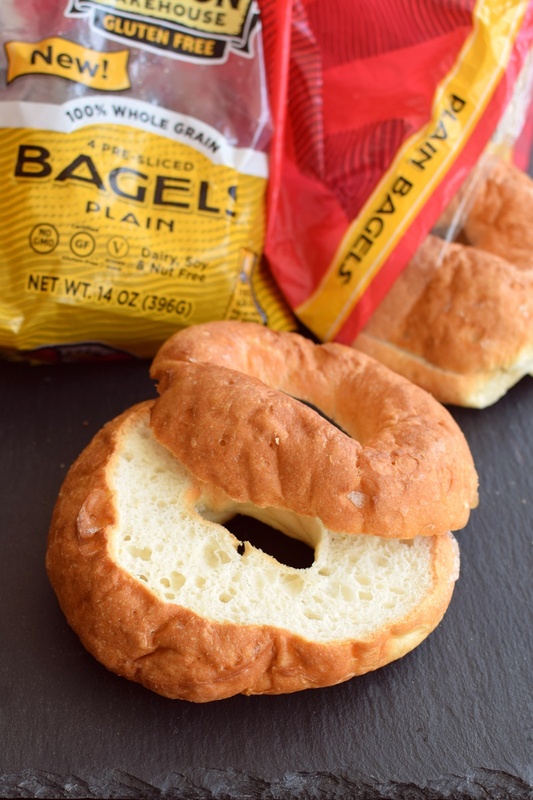 I’ve also tried the bagels and like those too, but agree about the slicing placement. 🙂 I’ve never tried their hamburger buns, I don’t think my grocer stocks them. I’ll have to look into that. Thanks for the review! It’s always fun to see what’s available! Okay, good to know it isn’t just me with the slicing. That part was so frustrating! I’ve tried the 7 grain as well- it is to date my favorite gluten free bread of all brands. I heard the angels sing when I tried it – I was getting pretty discouraged and sad after trying other brands. I can’t wait to venture out and try others by Canyon Bakehouse. 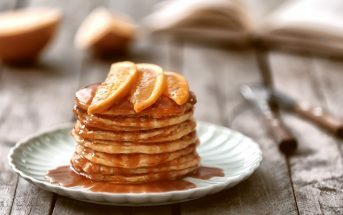 I love it – I’m picturing the angels singing as you took a bite Linda! Glad you found your holy grail of gfdf bread! I would like to try the Everything Bagels. I would love to try the Deli Rye! I miss a nice piece of toasted rye for a sandwich. would love the deli rye & the bagels & oh, just about anything!! I buy the 7 grain and love it!! It’s never dry like other gluten free breads can be. I am excited to see they have bagels and will be on the lookout for them now! Thank you for mentioning this Kate. It was hard for me to comment on the dryness since I had the bread from frozen, but it definitely didn’t seem as dry as many other GF brands. I want to sink my teeth into a piled high sandwich with all the fixings!! Haha, that sounds awesome Kelly! I have never heard of this brand, but would love to try! I miss my sandwiches! I have never had an opportunity to try Canyon Bakehouse products as of yet, but the mountain white looks delicious! I’d love to try their products out. Thanks for sharing this! We’re always up for bagels at my house! Although I’m curious about the cinnamon raisin, too. 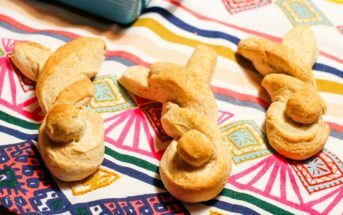 Those look amazing, and not just for gluten-free bread! I would really love to try the bagels… I have yet to meet a GF bagel that truly satisfied my cravings. These are definitely different, but they satisfy in a unique way in my opinion! I would most love to try the Cinnamon Raisin bread. I would love to try the deli rye bread and the plain bagels! These look really good, I’d love to see some vegan versions – so many GF breads have eggs. They look better than many GF breads I’ve seen! Yes, good request – I bet they are working on it Dreena! Wow–these really do look and sound amazing! 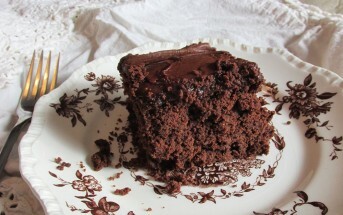 My hubby has been eating gluten-free breads lately and I bet he’d love any one of these. How lucky are you to be able to sample them all! Oh, I bet he would like these ones Ricki! Tony liked these much better than others. I have tried the 7grain and liked it. (Even my very picky gluten eating husband eats it, which says a lot.) However, after reading your review I am anxious to try the mountain white and the bagels! I recommend it Michele! And technically, it’s pretty much as wholesome as the 7-Grain! I love Rye bread for toasted cheese!